To present information about the IHF to instructors, students, and those with an interest in the Art of Hapkido. To help our members more easily communicate with IHF Headquarters. To offer membership, training and certification to Hapkido practitioners throughout the world. The IHF welcomes members from all over the world, into its family. Instructors, if you and your students desire to join the IHF, you will find detailed information and the necessary applications in our "Affiliation Information" section. Don't wait, Join Today! 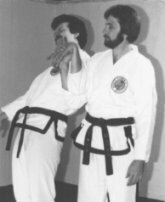 The International Hapkido Federation was founded in 1971 by Grand Master James S. Benko, Ph.D. (see biography). Grand Master Benko has been studying the Hapkido and other Korean martial arts since 1959, providing IHF members with guidance from his many years experience in the Korean martial arts. The IHF was established to preserve and perpetuate the study of the Art of Hapkido without "politics". New products, services, and information will be added to this web site on a regular basis. This will provide those interested in the Korean martial arts with a continuous source of accurate and authoritative information. Enjoy your visit here and please feel free to send correspondence at the IHF address provided below. If you find someone claiming to be an IHF (International Hapkido Federation) Instructor or that his/her school is a member of the IHF, you can check by submitting this form. The IHF takes legal action against anyone attempting to use the IHF name. Beware of advertisements where IHF membership is claimed. Our web site has received several awards for excellence and for maintaining the highest standards of the true spirit of the martial arts. DVD Video Catalog - Great Selection. Book Catalog - Specialized Books. Order Form - And Information. 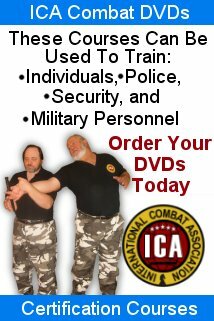 Tae Kwon Do, Korean Swordsmanship, Hapkido, Law Enforcement, Korean Weapons and More. 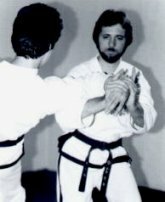 Tae Kwon Do Patterns, Korean Cane, Kwan Jyel Sul, Vital Points, and More. Use our convenient On-line order form or you can Mail your order in Today! Tae Kwon Do Journal is an online publication which features articles and information related to Traditional and Combat Martial Arts. Below are just some of the articles you can find in Tae Kwon Do Journal. Earn Black Belt ranks in Korean Swordsmanship through our ETP (External Testing Program). No matter what style of Korean martial arts you study, you can earn Black Belt ranks in Korean Weapons through our ETP (External Testing Program). Techniques of the Korean Sword, Korean Cane, Korean Nunchaku, Korean Sickle, Tahn Bong (Short Stick), Kwan Jyel Sul (Joint Manipulations), and Jung Bong (Middle Staff).